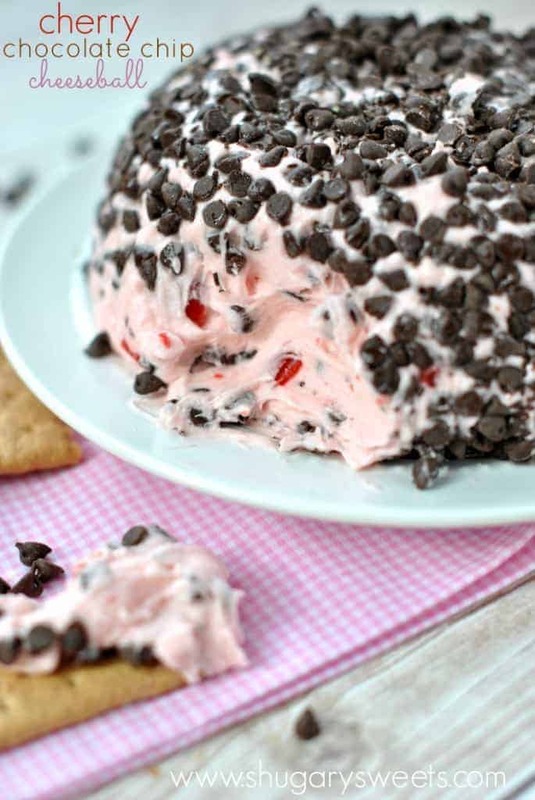 A delicious, sweet Cheese ball filled with Maraschino Cherries and mini Chocolate Chips! Perfect for Valentine’s Day!! I’m obsessed with maraschino cherries. Always have been! Actually my whole family is obsessed with those sweet cherries. As I planned out some new Valentine’s Day treats, cherries always came to mind. If you scroll to the end of this post, you will see some of the delicious cherry flavored treats I’ve shared in the past! Some people are crazy about peanut butter, or chocolate, or even mint…for me, it’s cherries. Sweet red maraschino cherries. I seriously snack on them right out of the jar! 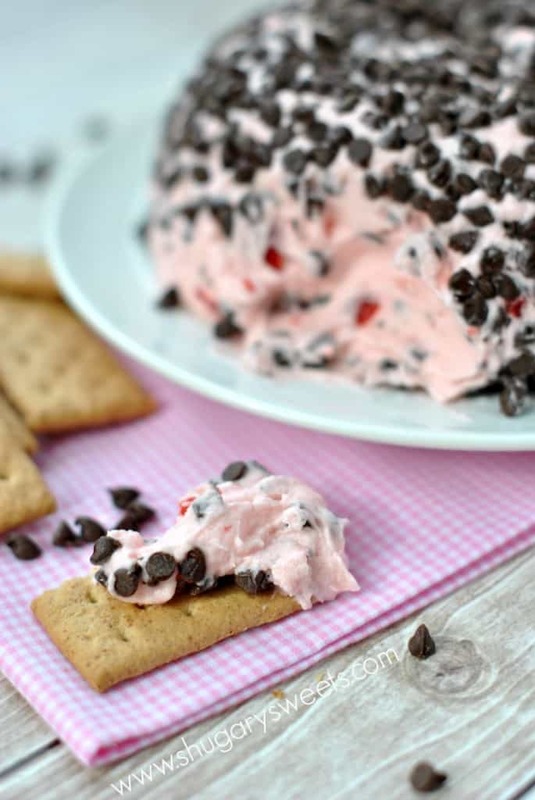 This dip is incredibly easy to make. You can serve it one of two ways. Whip it up, don’t coat it in mini chocolate chips, and just serve immediately in a bowl with crackers, pretzels, fruit, etc. OR, if you have a little time, make it the night before allowing it to firm up some so it can be rolled in mini chocolate chips. It’s still soft, but presentable!! In a large mixing bowl, beat your softened butter and cream cheese until fluffy. Add in powdered sugar and some of the maraschino cherry juice. Beat until fully blended. 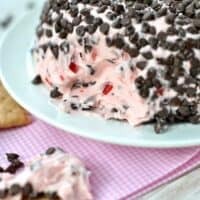 Fold in chopped maraschino cherries and mini chocolate chips. Line a bowl with plastic wrap, drop your mixture into the bowl and bring up the sides of the plastic wrap to cover the top. Refrigerate several hours or overnight. When ready to serve, remove plastic wrap and invert cheese ball onto a plate. Press remaining mini chocolate chips around the top. Or, serve in a bowl immediately and enjoy! We love sweet cheese balls. And here’s where you can come up with lots of serving ideas. What else would you use as a dipper? Cherry Chocolate Chip Shortbread Cookies: great use for those maraschino cherries!! 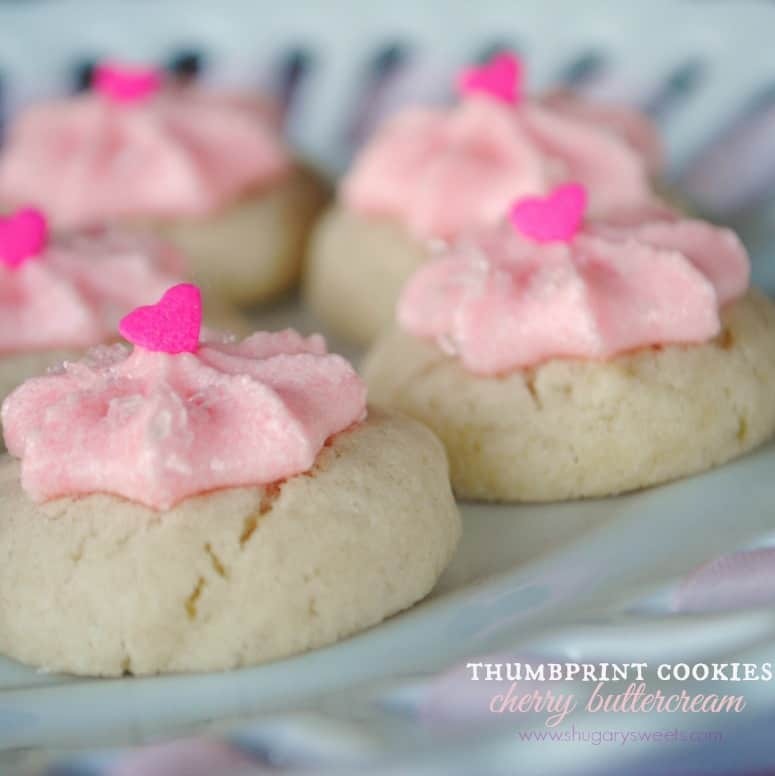 Thumbprint Cookies with Cherry Buttercream…these melt in your mouth! 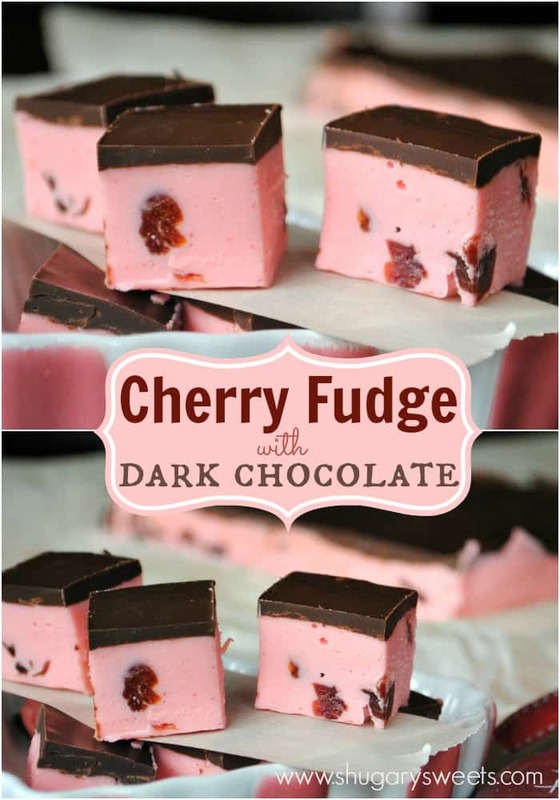 Cherry Fudge with Dark Chocolate: this is a hit every time I make it! 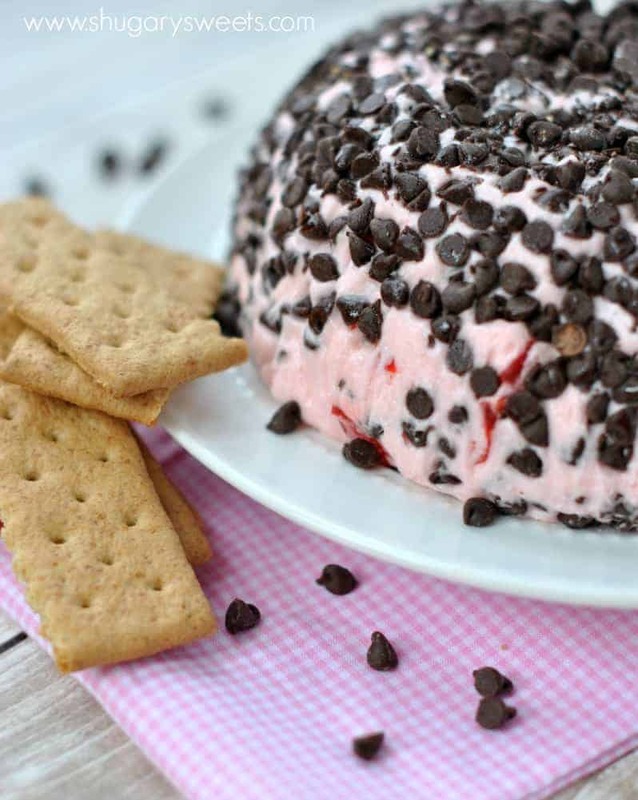 A delicious, sweet Cheese ball filled with Maraschino Cherries and mini Chocolate Chips! In a large mixing bowl, beat cream cheese and butter until combined. Add cherry juice and powdered sugar until fully blended. Fold in chopped cherries and 1/2 cup mini chocolate chips. At this point you can either serve immediately...or continue on to make as a cheeseball. For the cheeseball, line a rounded bowl with plastic wrap. Pour mixture into bowl, bringing up sides of plastic wrap to cover the top. Refrigerate overnight. When ready to serve, invert cheeseball onto serving plate and press remaining 1/2 cup mini chips into the cheeseball. Serve with graham crackers, animal cookies, apple slices, pretzels, etc!! Having made this several times, it occasionally comes out too soft to set up. I have yet to figure out the rhyme or reason why sometimes it's soft, and sometimes it sets up fine. When it it too soft, rolling it in chocolate chips does help! Or putting it in a bowl and serving as a dip works too! I love that our brain thinks the same on desserts! Your cheese ball is amazing looking! I love all the extra chocolate chips on the outside!!! I guess the hard part would actually be trying to decide what to eat with this dip! Maybe just a spoon? haha. This is another great sweet cheese ball! Looks delicious and I bet taste even better!! So cute that you and Jocelyn did similar things! They both look equally delicious and I need to make ’em both! I have actually never made a cheeseball, but there is a first time for everything! Especially when that first times includes chocolate and cherries! Jocelyn is adorable, and so is her food and photos!!! 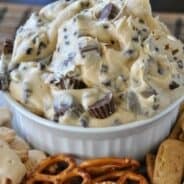 I think you totally need to give this dip/cheeseball a try. Looks SO good! I could totally eat that for breakfast. It has fruit in it, so it would be OK – right? I love the way you think!!! I saw this “Trackback” on Jocelyn’s site and had to come see your version! Both versions are SO pretty, and unique!! I love all this red, pink and white for V-Day. 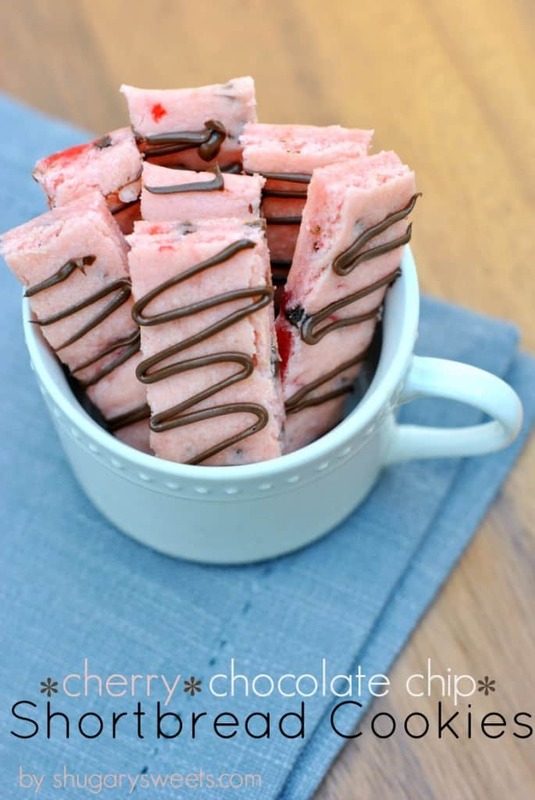 Oh, and those cherry shortbread bars you have pictured up above look AMAZING!! Going to check those out right now!! I forgot how much I love those cherry shortbread bars!! So glad you stopped over Renee!! Thanks Prudy!! That fudge is one of our favorites (as is this cheeseball)! Yeah, guilty of eating an entire jar 🙂 Thanks for sharing Julie!! How freakin cute and adorable is this cheeseball? I love the cute pink color!! I’m sure I couldn’t keep my hands off this. It looks gorgeous! This could very well be the prettiest cheeseball I’ve ever seen! 😀 Love the colors and flavors, Aimee! So perfect for V-day coming up. This is so pretty and so tempting! I love it! I LOVE LOVE LOVE this cheese ball! Maraschino cherries are my favorite EVER…sometimes I order a shirley temple just to eat the cherries! LOL This would make a very cute appetizer for a V-Day party. Pinned! Ah-mazing! And perfect for Valentine’s Day! Does this have to be refrigerated ? I LOVED the taste of this but there was no amount of fridge time that made mine set up like yours. Then I looked over the ingredients and realized this is basically my recipe for cream cheese frosting and all made sense. In all sincerity, how on earth did yours set up all pretty. Regardless, eating it out of a bowl was not a sad situation. YUMMY is an understatement!!! I was just coming on to see what I might have done wrong as mine is still very soft and has been in the fridge for a day. I’m afraid I’m going to put it on a plate to serve it and it’s just going to flop. Very yummy though! I have made these several times now, and for whatever reason 2 of the 5 times it came out soft, like you have said. I can’t figure out what was different (maybe beating it too long? maybe extra juicy cherries???). The first time, I filled a bowl with the chocolate chips, dropped the dip into the bowl and covered it with more chips. Using my hands I patted it into a ball and it worked. The second time it was too soft and I served it in a bowl. Delicious, but way soft!! Sorry. I just made this. Needless to say very disappointed. I followed this to a T, added my juice as directed came out extremely liquidy. If I make it again I will not put the juice in. Sorry to hear that. Did you allow it time in fridge to set up? Hopefully you were still able to enjoy as a dip instead of a cheeseball then? I think I’m going to have to make this dairy free! My boys and I love cherries but the homemade ones are the best. Yes, we make our own maraschino cherries. Yes it takes three days but they are so good it’s worth it. 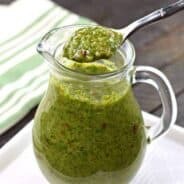 I just wanted to let you know that I love looking at all of your recipes that you post. I tried the cherry cheese ball one this weekend and it was super good. At first I tried it with gram crackers which were good but I am not a huge fan a gram crackers so my dad had a great idea to try it on a bagel which i must say was the best idea ever. It was so good and what a good way to have a super good snack or even breakfast. I am going to try the cherry fudge next because I am addicted to this cherry flavor. I just finished making this for a Christmas lunch tomorrow. Sad to say it just turned into what looks like frosting. Nothing remotely cheese BALL like at all. This is an awesome idea! Thanks so much for sharing the recipe! I can’t wait to try it. I’m hoping to make this next weekend for a women’s retreat dessert. If I make it with raspberries, what do I do for the juice? HELP! 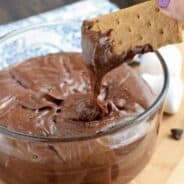 I used this dip as a filling between layers of chocolate cream cheese poundcake. Yummy! Thank you for sharing your recipe. I had high hopes for this one. In the end, it was not really a cheese ball as much as it was basically creme cheese icing with cherries in it. Ended up being a dip for us. Will modify accordingly in the future.